A lot has happened over the last few weeks; and I guess it’s taken a while to feel comfortable enough to write about it all – or rather I’ve just taken to bottling everything up again. Everything came to a head at preschool drop off this morning – one of the other mums announced she was pregnant with her second child – lovely news. But my heart broke a little bit – we’ve been hit with a huge decision of sorts and it’s upsetting me more than I thought. A few weeks back I had an appointment at the hospital regarding my ongoing period problems and worrying stomach pains; it is believed that I have either endometriosis or fibroids and so I need surgery to investigate. The shocker came when he told me that a hysterectomy would probably be my best move – I sustained a lot of damage from over-stimulation during fertility treatment and then during childbirth; I need to lose both my ovaries and so he told me I have three months to decide whether or not I want any more children. The catch? I’d never conceive naturally – my first pregnancy was indeed a fluke but things are so badly damaged now IVF would be my only option and we would have to fund that privately. So I have no choice, really – plus a lack of woman-parts would certainly improve my quality of life. It’s hard to explain – I don’t think I want another child but having the decision made for me so drastically has really messed with my head. Depression I suffered during infertility was described as mourning – this feels like a form of mourning for the second child I will never have. How do I feel? Broken, to be honest. I want nothing more than to just be happy and healthy, to not be in pain every day and to just feel like everyone else. I stand in the preschool playground at drop-off and pick-up feeling like an alien; because everyone else seems to be excited about going for a run, or planning for baby number two(or three). I hadn’t realised how upset about everything I was until this morning. 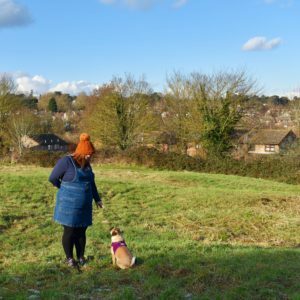 Chronic illness is tough – I have to just carry on being a mum, living life and dealing with the pain and tiredness; and I feel angry about it today. Nobody realises that every time I move, I hurt. Walking, sitting, standing, cooking, cleaning, sleeping… I am in pain all day, every day. But life goes on – and fingers crossed the new treatment will make my pain go away.